The ideal exhaust for the R35 GT-R is the 94mm GReddy Supreme TI. The design provides great performance for upgraded GT-Rs but still comfortable for milder, daily-driven GT-Rs. 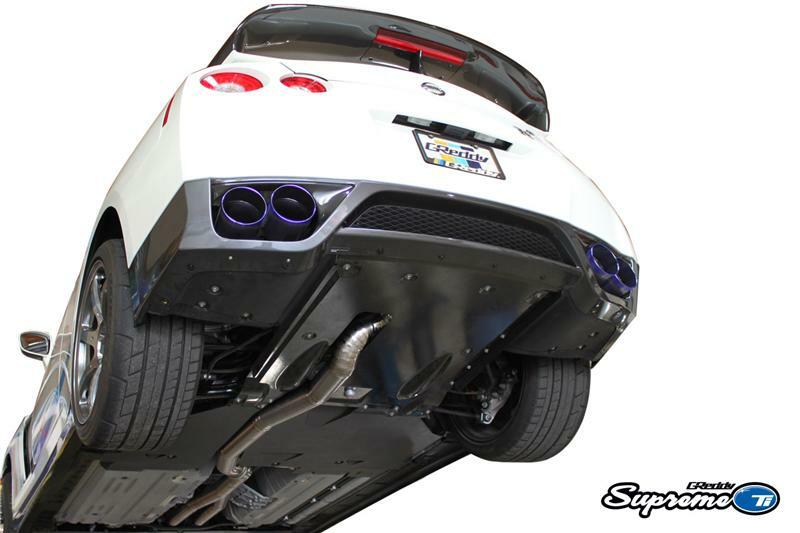 The large dual oval mufflers provide excellent sound suppression and sound quality, while large piping frees up power for the twin turbo VR engine. 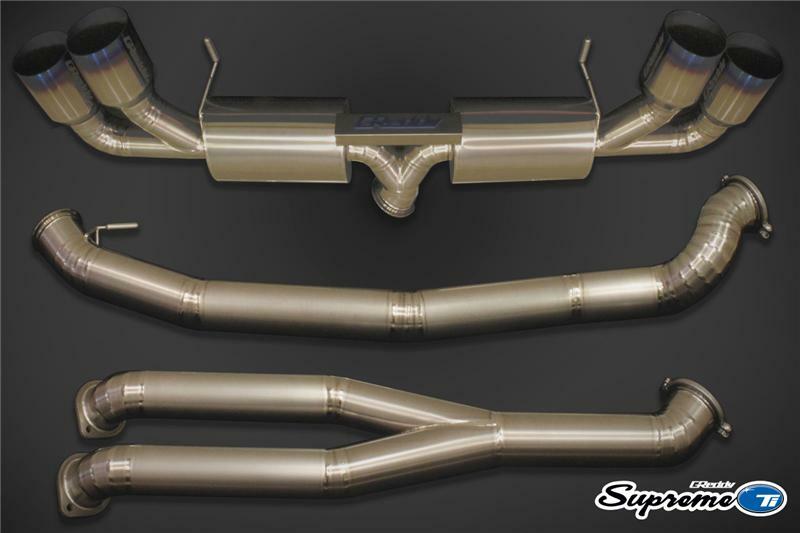 This version comes with a huge dual 80mm (3.15”) to 94mm (3.7”) Y-pipe. 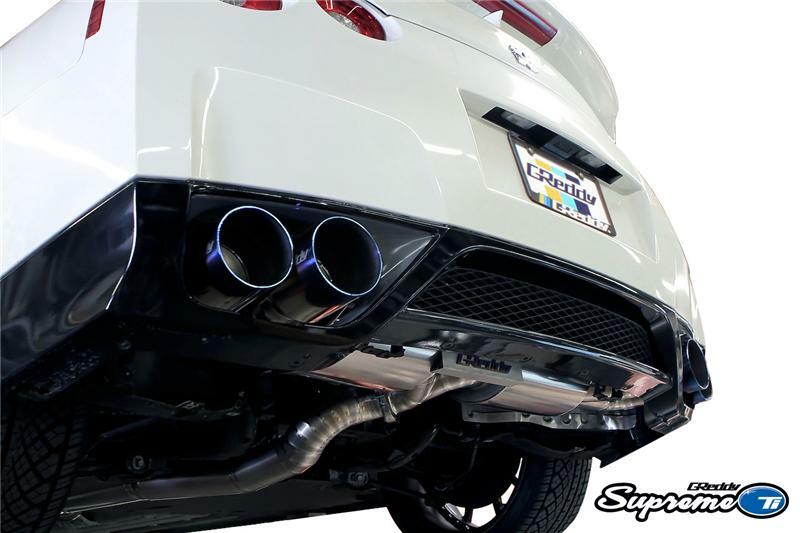 The construction is made up of carefully hand-built 94mm piping is pain-painstakingly “inch-welded” for excellent fitment and flow. 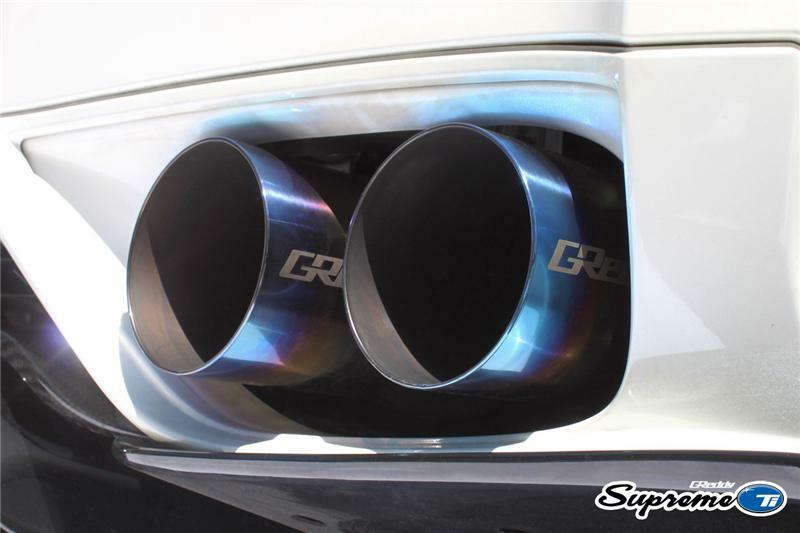 Revised larger 125mm quad staggered Tips complete each 94mm R35 GReddy Supreme Ti system.